1,3,5-Triazine-based compounds form a privileged class of compounds in the medicinal chemistry field as they are versatile synthetic scaffolds possessing wide spectra of biological effects including potential anticancer activity. 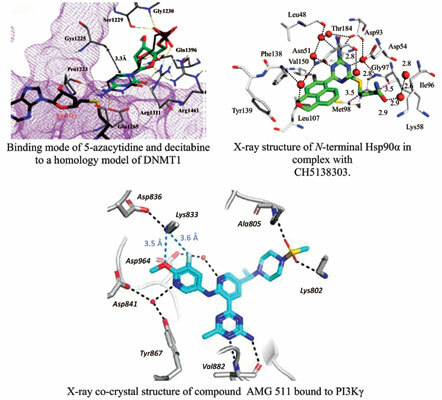 1,3,5-Triazine compounds explored for anticancer activities have been reported to act by various mechanisms on several molecular targets in human cells such as methyltransferase (DNMT), heat shock protein 90 (Hsp90) and phosphoinositide 3-kinase (PI3K). This review focuses on the synthetic strategies for current developments of 1,3,5-triazine-based anticancer agents and discuses the docking studies that confirm their unique binding modes in the targeted receptors active sites. This article also aims to highlight the future directions for the easy access to these frameworks of more potent and specific anticancer activity. Anticancer, enzymes, molecular docking, synthetic methods, 1, 3, 5-triazines, anti-protozoals.